The Chapter was chartered under the Fraternal administration of Bro. Ray W. Logan, General President and Bro. Jos. H.B. Evans, General Secretary. For more than seventy-five years, and under the umbrella of the National Organization, Gamma Gamma Lambda Chapter set as her objective to carry out the mandates of "Manly Deeds, Scholarship, and Love for All Mankind". From the ranks of Gamma Gamma Lambda Chapter, has come several leaders in Alpha at the Area, Cluster, District, and Regional levels. 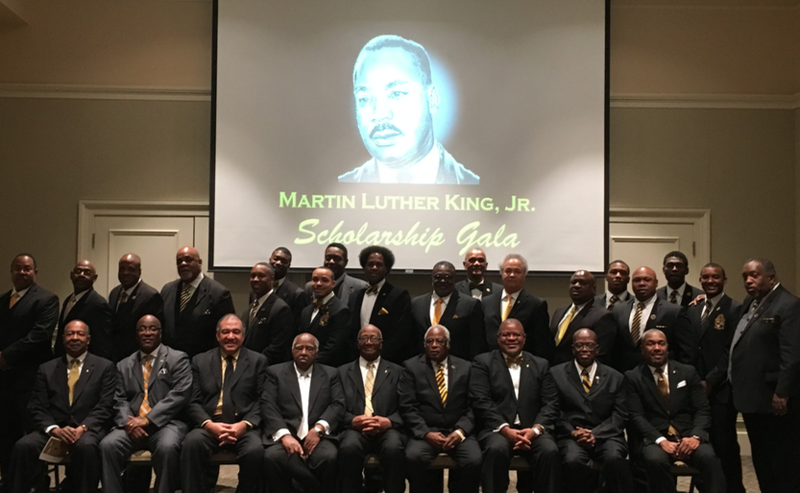 including the first South Carolina State Director of Alpha Phi Alpha, the late Brothers, Luke H. Chatman, and Dr. Rudolph G. Gordon, Former Superintendent of Greenville County School District. GGL also contributes to March for Babies locally, through a national partnership with March of Dimes . Luke H. Chatman Scholarship is annually awarded to high school seniors in Greenville County. Submission Deadline is usually April 1. It is awarded on the recipients senior/awards day. Application packets are released by November 1 and distributed to Greenville County High schools and the Chapter's web site. Acceptance and subsequent enrollment in a certified college or university is required. $3,000 is awarded to the recipient. The award is open to all but African-American males are preferred. See the foundation website for more details.